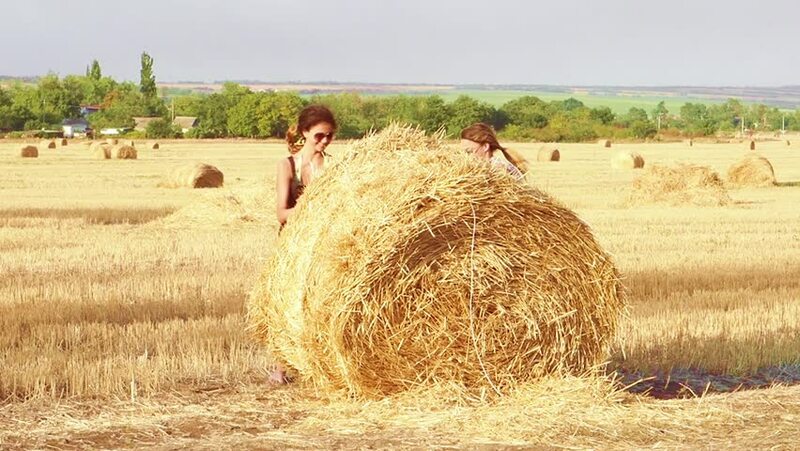 Two cute girls run around and play a haystack. Slow motion. hd00:22Two cute girls run across the field with a beveled straw. Slow motion. 4k00:24Hay bales on the field after harvest. Agricultural field. Hay bales in golden field landscape. 4k00:13PURI, INDIA - 3 DECEMBER 2014: Unidentified farmers at work cutting rice crops during harvest season, in a field nearby Puri. hd00:13PURI, INDIA - 3 DECEMBER 2014: Farmers harvest rice by hand in a small village near Puri in Odisha province, India. hd00:16Happy family on vacation at sea. Slow motion. hd00:20Happy children run for dad along the edge of the sea. Slow motion.